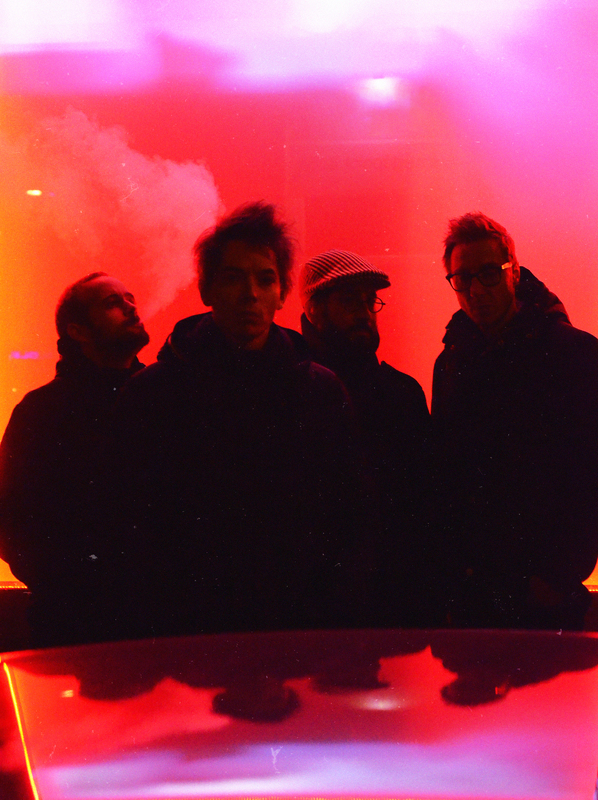 "Anton Vezuv is an alternative rock band from Budapest, Hungary founded in 2010. The last 5 years have been spent honing their custom ‘power melancolia’ as a full band. Originally written on guitar and piano, alone in a sequestered cellar by the lead singer Istvan Gyulai, it was a blissful occasion to meet the other members and form a full size group to build the power on – the melancholy came naturally. Anton Vezuv, cohesive unit, kept the intimate sensation of the acoustic pieces as they gently and astutely placed them among the amplifiers. After numerous club gigs, compilation, and radio appearances, Anton Vezuv’s first LP Into The Sea came out in 2014. The band has stayed active and is working with music producer Peter Jakab and engineer/producer, Chris Stringer of Canadian freak-folk outfit Timber Timbre on a new EP slated for a Spring 2016 release. Keeping in step with the intrinsic sadness of Into The Sea, the as of now untitled offering finds the band tighter than ever musically, even adding some horns to the mix. Istvan, fueled on Mark Kozelek, Justin Vernon (Bon Iver), and Hungarian wine, is clearly maturing as a songwriter and has a seemingly clear vision of where the band and the music is heading." After the romantic start of the 2014 album "Into the Sea" and the darker tone indie EP "Lay Low Butterfly" in 2016, Anton Vezuv released the cover album "Save Me David" in 2017 as a gloomy but linear sequel. The band came out with the song "Awakening" in 2018 on their label's compilation MC. This song is a sneak peek of their new album which they are currently working on and preparing to release in 2019.
it would be really really better if you could check out our facebook page for past and upcoming concerts. site by grafikarma, photos by Péter Kósa and Péter Jakab. 2019.